ESO Supernova Exhibition — What kind of exoplanets are out there? 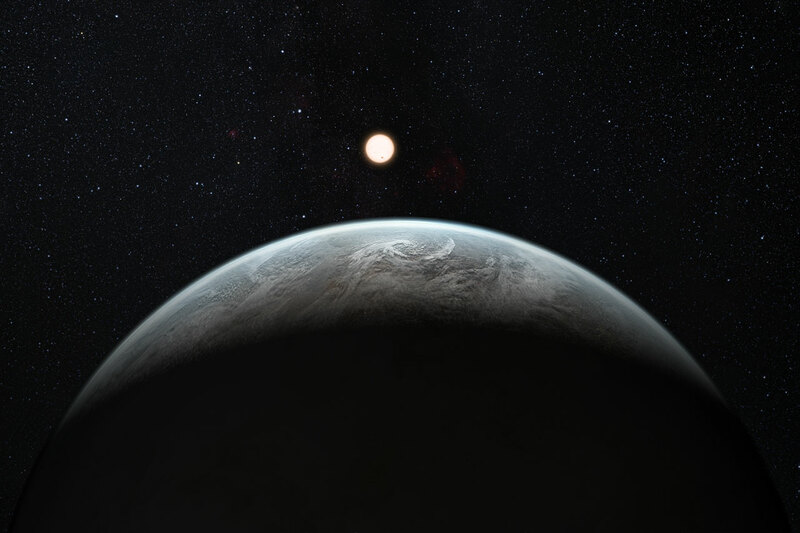 What kind of exoplanets are out there? Even though they’re far away, we can deduce important properties of exoplanets, like their size, mass, orbit, temperature and composition. They exhibit a fascinating variety. 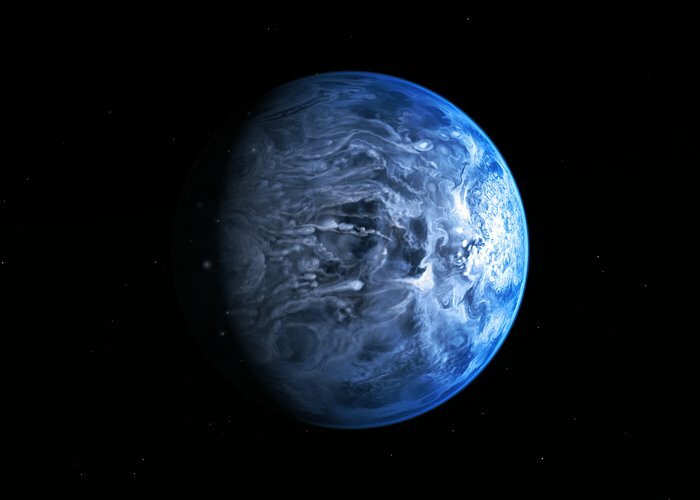 Wild weather:Hurricane-like winds and a rain of glass droplets swirl within the azure-blue atmosphere of the superheated gaseous exoplanet HD 189733b (artist’s impression). 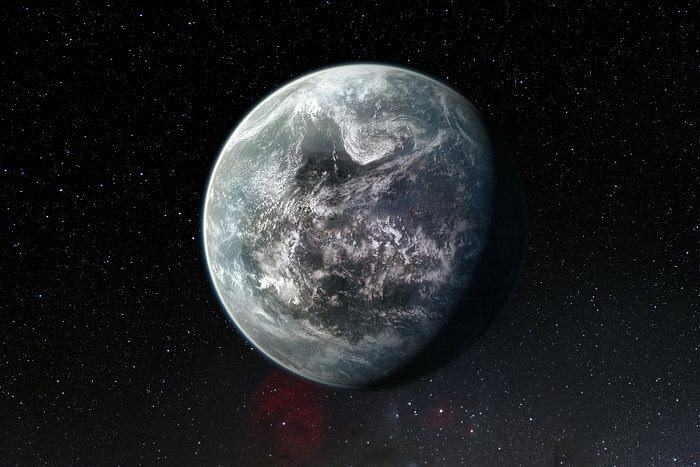 Massive rock: Almost four times as massive as Earth, rocky exoplanet HD 85512b might harbour liquid water and even life (artist’s impression). The gravitational force between an exoplanet and its parent star reveals the mass of the planet. The amount of light it blocks out when it crosses the face of the star reveals its size. Together, mass and size tell us about a planet’s composition. From its orbital period, astronomers can calculate the distance between the planet and its parent star. This also tells us the planet’s average temperature. So, we know quite a lot about exoplanets. We’ve also learned that they can be very different from the planets in our own Solar System. 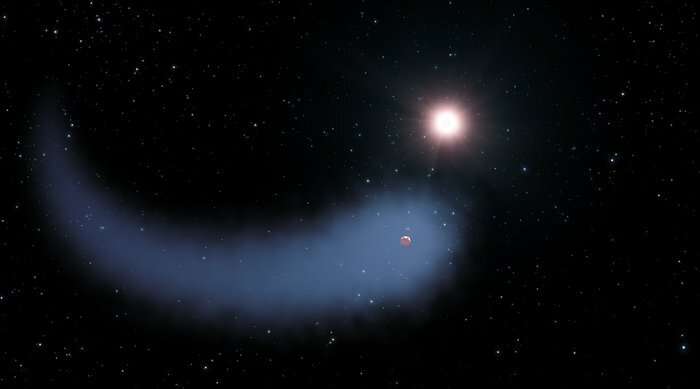 Planetary tail: Radiation from its parent dwarf star blows the atmosphere of the Neptune-sized exoplanet Gliese 436b away in a comet-like tail of hydrogen (artist’s impression). Multitide of worlds: With at least seven and maybe even nine planets, the star HD 10180, some 130 light-years distant, has one of the richest exoplanetary systems known to date. Our Solar System is not the only one. Most stars in the Universe have planets, too — there are billions of them. But they can be very different from the eight planets that orbit our Sun.